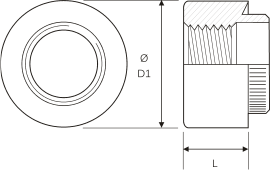 Steel rivet bush with serated spigot for thin section/sheet materials. 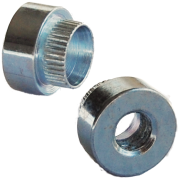 Can be installed into punched or drilled holes manually or with an auto feed press. Available in plain steel, stainless steel or zinc plated steel.